The UCI Sue & Bill Gross Stem Cell Research Center is honored to announce that Dr. Irving L. Weissman will be the featured speaker of our community lecture series and special guest at our annual Stem Cells Offer Hope Society Reception. Dr. Weissman is a pioneer of regenerative medicine—developing the first tools to identify and isolate blood-forming cells. He is widely recognized as the “father of hematopoiesis” being the first scientist to purify blood-forming stem cells in both mice and humans. His work has contributed to the understanding of how single hematopoietic stem cells can give rise to specialized blood cells and laid the foundation for developing treatments for cancer, blood diseases and organ rejections. Dr. Weissman is a leading expert in the field of cancer stem cell biology at Stanford University where he is the director of the Stanford Institute of Stem Cell Biology and Regenerative Medicine. 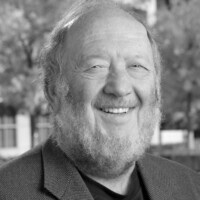 In addition to his many awards and honors, Dr. Weissman was elected to the Institute of Medicine in 1989, chaired the National Academy of Science Panel on Cloning in 2002, and was a leader in the drive for Prop 71 and the development of the California Institute for Regenerative Medicine (CIRM). Free. Due to limited space, registration is recommended.